If you just start to play Blade and Soul, you must know some tips for your better game play. 1.Auction bids are great ways to make Blade and Soul gold. Be careful to use as you are more likely to lose money quickly if you don’t know the tricks. 2.Since you can upgrade Hongmoon weapons and trinkets through the game, you should make full use of them. If you are careless to misplace your Hongmoon items, you can get a set from the Viridian Valor Stone Trader inside Jadestone Village (North East of the Everdusk forest). However you'll need to farm Viridian Valor Stones to purchase this replacement set. 3.Almost all outfits can be gained in game either through dungeon running, Hongmoon shop and boss grinding. Also, some quests rewards give outfits. And some Daily quests can reward outfit. 4.Blade and Soul gold is quite important. A good way to farm fast Blade and Soul gold is to run dungeons as the money dumped into Auction Bids are split between the group. 5.Soul Shields are only effective with an outfit on, and you can fuse them with other shields to gain additional stats. You have chance to max these shields out, but only a specific stat set at any give time. 6.Don’t waste keys and unsealing charms as you can craft them thourgh the Radiant Gem and EArthseer respectively. 7.You can change channels with the number near the mini map or escape menu on the bottom right, which can help you when problems happen. 8.It is suggested you do the surveys and daily dash system to help your character gain useful items and help developers to make this game better. 9.If you want to run some dungeons or PvP with friends in other servers, you can easily change server as Dungeons and Arena PvP are cross in Blade and Soul. 10.You can hold Alt to enable your cursor, and click on the quests icon in your mini-log to track them on your mini-map. This will help you find where certain quests are if you're having trouble finding them. 11.You can train trees to help you get started on a certain play style as you can respec your skills at any time. And you can feel free to customize your own skill tree as you please. Skill tree is only available at level 17 and you can start to earn skill points at level 15. 12.In case faction or region chat gets spammy, just need an extra trip. And you can add an additional chat tabs to customize them whatever you like. 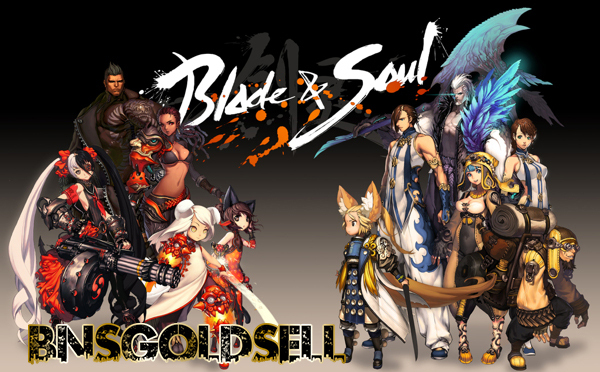 13.If you have enough soul shield packs, make sure to open them and sell them separately if you need Blade and Soul gold, otherwise it is recommended you salvage them and sell the broken pieces. Hope these tips are useful for your Blade and Soul journey.